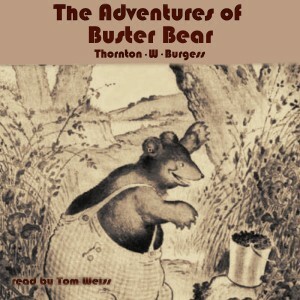 Thornton W. Burgess was a conservationist and author of children’s stories. He loved the beauty of nature and its living creatures so much that he wrote about them for 50 years. By the time he retired, he had written over 170 books and 15,000 stories for the daily newspaper column. The Adventures of Buster Bear follows a bear who has moved from the Great Woods to the Green Forest. Unknown to the little people of the Green Forest, Buster Bear, although he is big and has a grumbly rumbly voice, he is actually very shy. As with most Burgess books, there is a positive morale to the story.